Bumrah also explained the importance of fitness in modern cricket. Indian pacer Jasprit Bumrah has said that he enjoys playing in the company of the left-arm fast bowler Ashish Nehra. The 38-year-old has made a stunning comeback in the Indian squad for the T20I series against Australia. Very few gave him a chance of making a comeback after being injured during the Indian Premier League (IPL) earlier this year. But Nehra roared his way back and is ready to hit the straps at the international level yet again. Bumrah too has been a brilliant performer for the Men in Blue in the limited overs format as has been the team’s death overs specialist. Throughout the ODI series against the team from down under he was the best bowler for India along with Bhuvneshwar Kumar. He would be raring to go out in the middle and bowl those pinpoint yorkers at the batsmen again in the first T20I in Ranchi on Saturday. 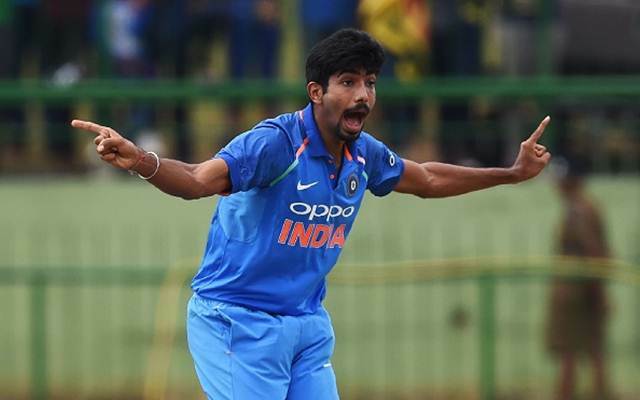 On the eve of India’s first T20I against Australia in Ranchi, the 23-year-old pacer acknowledged the responsibility that comes with playing for India, irrespective of formats. “When you are playing for India, you don’t need any kind of (extra) drive because you are very happy. Any format, you love representing your country. Whenever you are playing for India, you have a responsibility, you have to live up to it. One-day cricket and T20 cricket are slightly different, but in the situations where I bowl, it’s similar because of the death overs,” he said. Bumrah also accepted the fact that fitness is the prime factor for a player considering the amount of cricket being played these days. “Everybody requires fitness nowadays. It’s not only the fast bowlers. With the amount of cricket we are playing these days, everybody has to be fit. It’s the responsibility of every individual to keep themselves fit, to look after the diet and training. The fast bowlers need to put in extra effort sometimes, but if you are not fit, you won’t be able to survive,” the world number 2 bowler in T20Is continued. He also praised Nehra for his influence on the team and said that the left-arm bowler is always helpful. “He is a very experienced player. We played together at the World T20 as well. I enjoy playing with him. He is very helpful to youngsters like me. We just want to improve; we keep asking questions to each other, we also ask seniors how to improve our bowling, adapt to different wickets. We don’t focus on results much,” the 23-year-old concluded.